When it comes to waste material, the motto plainly is: “Come and get it as quietly and least disruptive to the principal activities of the customer whether it is a refinery, an oil terminal, an ocean going vessel or a water treatment plant.” After all, it is waste! It needs to be cleared efficiently and effectively and disposed of at the appointed sites. When the waste material is viscous or coagulated and time is of the essence nothing beats the flow drawn by vacuum extraction. 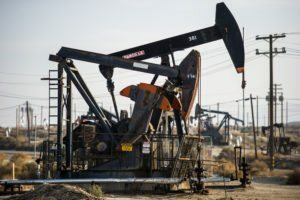 Tankformator brings its vacuum service tank containers, Iso Eclipse 1, to Energy markets where Crude Oil and LNG is produced by hydraulic fracturing. It brings a modular dimension to these markets and operations where traditionally vacuum trucks and trailers are deployed. It is committed to match or exceed operational functionality when it comes to conveyance and vacuum extraction of bulk liquids but adds something new in the form of modular design that enables operators to make operational savings by freeing up land space by stacking their vacuum tanks, and outsource cleaning, inspection, and servicing to third party service depots. Tankformator can also help Operators to reduce expenses for shell repairs by upgrading to more corrosion resistant shell materials. Corrosion is very real risk in both the energy and chemical waste markets. 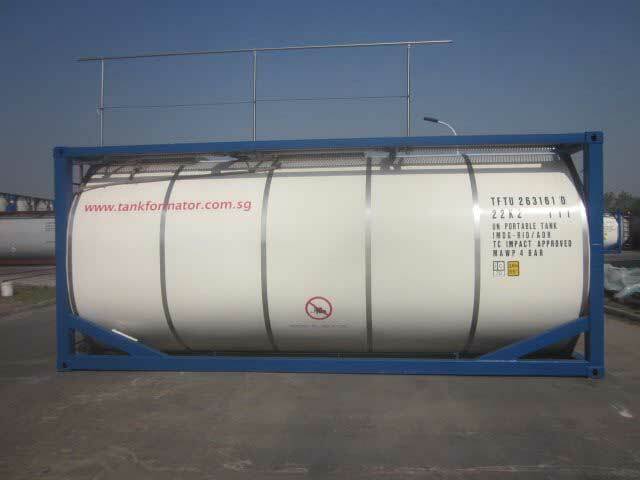 Multi-purpose means that an iso tank container that meets that description is of a unit type such as UN Portable tank type T11. It is quite the opposite of an iso tank container built for a single cargo for dedicated service. 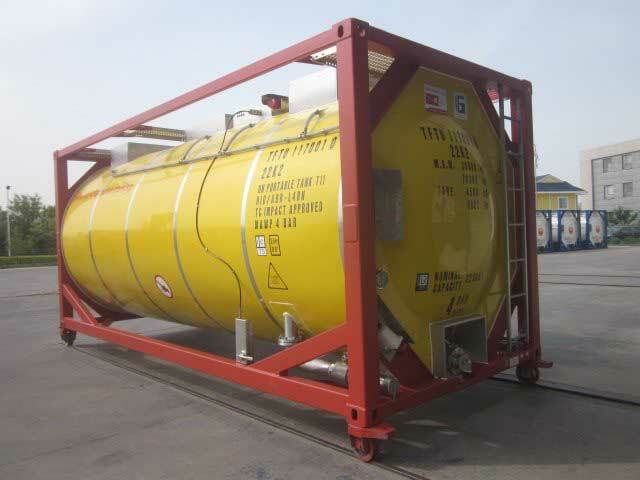 A UN Portable tank type may transport a thousand cargoes regulated as hazardous under IMDG or other regulatory platforms. Additionally it may transport thousands of non-hazardous cargoes. There is a fine line between hazardous and non-hazardous. A non-hazardous cargo often just is a cargo whose properties such a flash point, toxicity places it outside the realm of the regulation, and is just a cut-off point, really. That does not mean in any way that one could let ones guard down with such cargoes. Quite the contrary. 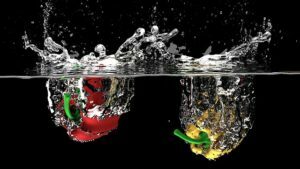 Air oxidizes and degrades food cargoes. Vacuum creates and anaerobic atmosphere and with that the risk of spoilage declines. However, the absence of air alone is not enough and additionally steps need to be taken to sterilize tank containers with steam or with sterilizing agents such as hydrogen. As a byproduct of the vacuum service, cargoes can maintain their texture. It ends the damage done by the impellers of pumps, damage that is sustained when loading and or discharge is effected with pressure suction pumps. Vacuum is widely used in pharmaceutical and food industries World-wide and Tankformator delivers vacuum iso tank containers to markets ‎where it can better integrate with factories as compared to regular iso tank containers. 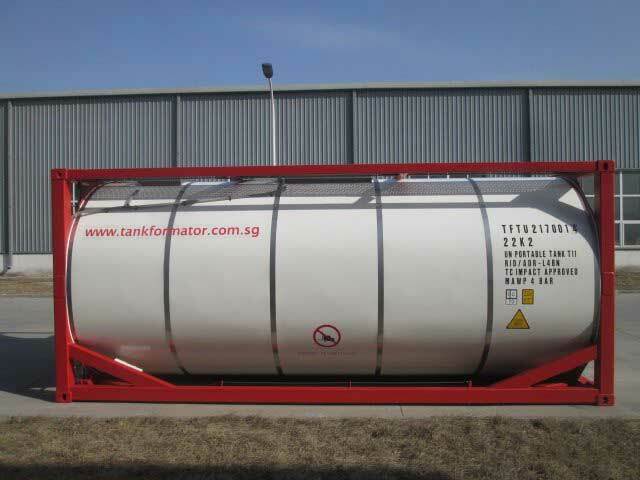 Special purpose tank containers come into play into a rather small segment of industry and equally small segment in the global iso tank container tank container fleet which is estimated to be less than 5% or just over 20,000‎ units World-wide. 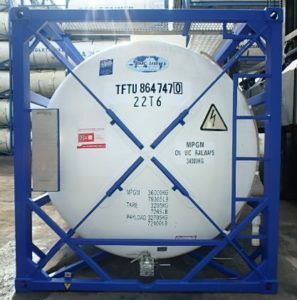 Special purpose tank containers are needed because the properties and characteristics of the cargoes carried contrast with cargoes that are carried in general purpose iso tank containers. The difference is quite often the cargo density which is mostly much higher than the common benchmark i.e. water. 1.0litre of water weighs 1.0kg. Often such cargoes are also more hazardous. A good example would be sulphuric acid class 8 UN 1830. The specific gravity is1.84. It’s main hazard is its corrosion. 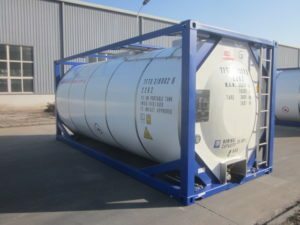 Used tank containers may not always match the gloss and all other showroom standards, that some say have mostly to do with cosmetics, but the used tank containers Tankformator supplies can be expected to be ‘Fit for Purpose’ and complete with the needed certification issued by an independent third party. Used tank containers are attractive for ‘here and now’ requirements often unrivalled by newly build tank containers. 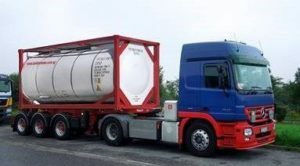 A used tank container still has a respectable service life remaining – as it mostly changes hands mid-way through its 30-35 year life cycle.